South Asian History has been greatly distorted by the tendentious, colonial and eurocentric rendition of the development of the region. One of the most distorted areas of history has been the question of Aryans and the Indus Valley civilisation. In this new work, Bhagwan Singh presents an important thesis on the origins of civilisation in South Asia. In the process, he also takes a hard look at the vast body of literature on the subject on this subject that has come down from colonialist scholars and their latter-day descendants. 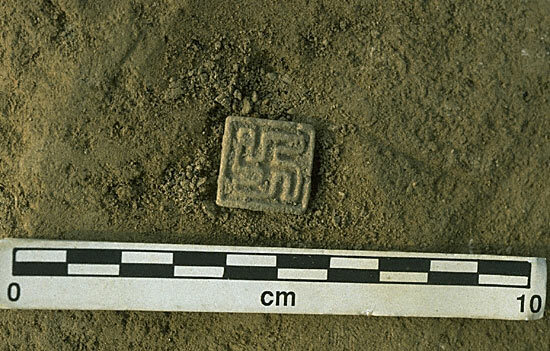 In short, if we discount the colonial legacy of docile self-denials and falling quickly in line with alien expectations, archaeology was at no stage at variance with the Aryan character of the Harappan civilization. On the question of the Aryan invasion, he discusses in detail all the arguments put forward by the proponents of this theory. In a chapter titled The Myth Of Aryan Invasion, he points out that "there is neither any literary account of invasion of India by Aryans nor any archaelogical evidence to support such a hypothesis". 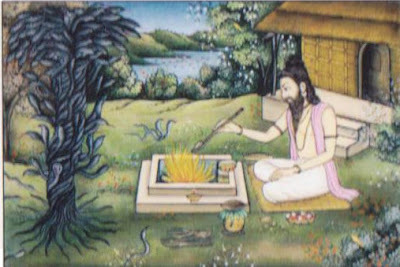 He forcefully argues this case: "As we have seen, the Vedic people did not come from outside. The Harappan cities, the first flowering of Indian civilisation, did not fall because of their invasion". Aryans were born with ar/al, the digging stick or hoe in their hands. It was neither their colour, nor their blood nor yet the size and sharpness of their nose which made them proud of themselves. They were proud of their being Aryans or cultivators at a time when the tribes surrounding them were at the stage of hunting and gathering. It was the Aryans who discovered agriculture and initiated the agrarian revolution and a new mode of production. Earlier the Aryans were called Devas. The term derives from ti/di, meaning burn or shine, and refers to their control over fire. 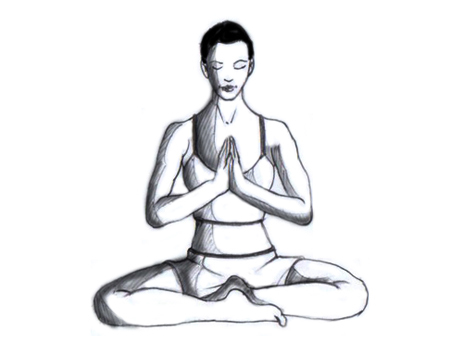 It was the discovery of fire including the technique of producing, maintaining and controlling it that revolutionised their thinking and prompted them to undertake new ventures. The Aryans were primarily agriculturists. They derived their name from this advancement at a time when people around them were lingering at the lower stage of gathering and hunting. Some of them formed their own kindered communities, refused to move ahead and censured them for their madness for ruining the natural sources which provided them liberally. Later on these Aryans developed into great traders and travelled all over the known world of the time, taking their agriculture, trade, language and customs with them. Proto-Indo-European is not a fact but an idea floated in order to displace Sanskrit from the centre of discussion. it the product of a magical realism created for projecting the white man's racial superiority back into the hoary past. 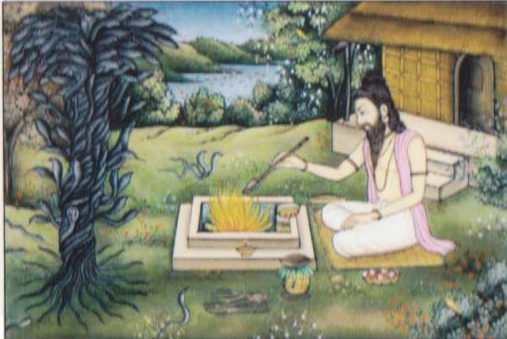 He concurs with the view that Sanskrit is a refinement of different Prakrits which were spoken at the time in India. And that out of these Prakrits, natural languages, a refined and classical language-Sanskrit emerged. "It is admitted (Harmatta 1992) that Sanskrit and Vedic languages are refinements of the Prakrit languages." Bhagwan Singh has dealt with matter at length in his Hindi book, Arya Dravid Bhashyaon Ki Moolbhoot Eikta. Vedic Harappans is a "must read" book for South Asians in general and those who are seriously interested in History of the region in particular. Bhagwan Singh has put to rest a lot of myths about the history of South Asia and deserves praise for this heroic effort. The occasion was a lecture on the Rgveda by Prof. Michael Witzel, at the India International Centre, on 10 July 2009. Presided over by Dr. Kapila Vatsyayan, it was attended by scholars of different hues and expectations. No one suspected that Witzel with his claim to be a ranking Vedic scholar knew so little that he could not answer a single query. Indeed, he appeared blank as far as the Rgvedawas concerned. He rose nervously to speak on the Veda, but actually spoke on the Aryan migration from Afghanistan to Punjab ! - You have reordered the Rgvedic strata, rating IV and VI to be the oldest and the rest belonging to intermediate and late stages. I have no objection to your sequence, but find your chronology miserably on the lower side. There is a reference to white pottery in one verse in Book IV (4.27.5). White pottery is a distinctive feature of Hakra Ware dated to 3000 BC. This goes against your dating of 1500-1250 BC for the Rgveda. - But Professor, the aśva in Rgveda, whatever could it have been, was brought from sea bound areas, even the aśva in the horse sacrifice, mentioned in Book I, hymn 163. - You say that the wheel and chariot were invented by Aryans when they were in Central Asia , but in the Book IV itself, Bhr.gus are given the credit for manufacturing wheels (4.16.20). Chariot and wheel was therefore not Aryan, but a Dravidian invention. - The problem with you, Professor, is that you are not familiar with the content of Book IV even. Hymn 57 of Book IV gives a graphic depiction of advanced agriculture, with a plough almost similar to the one that was common in India up to the mid-twentieth century, drawn by a pair of bullocks and driven by a ploughman in service. And in one of the Ŗics, the poet talks of milking the earth as a cow, year after year. It testifies to advanced agricultural activities with sedentary population and belies the myth of nomadism, pastoralism, and barbarity. I interjected, “not only Uşā Sūktas professor, the entire Rgveda.Some of it could never be surpassed, such as the Nāsdīya Sūkta, with such expression as tama āsīt tamasā gūlhmagre, darkness was entrapped within darkness. Compare these statues with modern day gypsy women of north-western India.Notice the similarities between bangles on their hands. 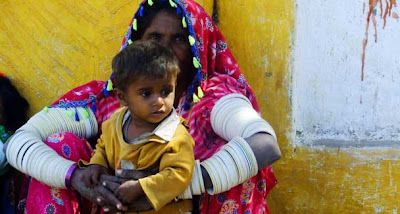 These women are Indo-Aryans,they speak Indo-Aryan languages and they have Indo-Aryan gypsy culture.This bangle tradition lives on from the times of Harappan civilization to this day. Similar bathing tanks were also discovered in Dholavira. 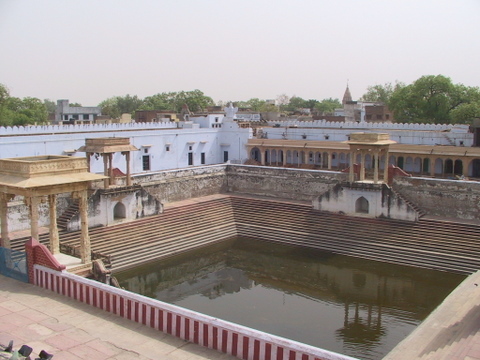 Compare with modern day Hindu temple ponds. 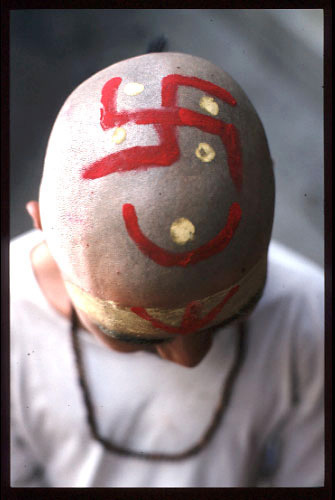 The seals and arts of Indus valley offers many Vedic symbolism such as Chakra,Sacred Pipal leaf,Swastikas etc...which are sacred for Hindus and Buddhists to this day. 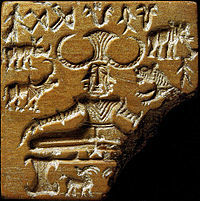 Indus seals shows many Yogic postures which are practiced to this day. This is a Shiva Linga from Kalibangan it is exactly the same as the one which Hindus use today.Many other Shiva Lingams were also found from Mohenjo-Daro. 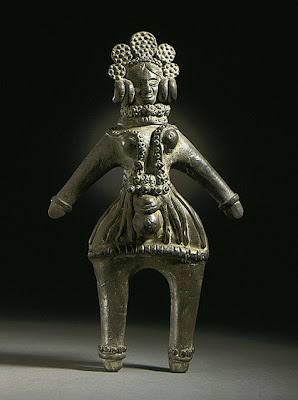 This is a fertility goddess figurine from Harappan civilization, compare it with the figurines below.Notice the headdress and flowers,they represent the same goddess. These figurines are from final 2500 YBP,which means this Goddess cult was active during Mauryan times and Gandharan times among Indo-Aryans.Mauryans and Gandharans were undoubtedly Indo-Aryans.This extinct cult must have been contemporary to the Hinduism Buddhism and Jainism at that times.It may be non-Vedic,but still it was practiced by Indo-Aryans. 8) Fire worship and fire altars. These fire altars are from Kalibangan and Lothal respectively.These fire altars are exactly similar to the Vedic fire altars used fro fire sacrifices or Yajnas,which are core of the Vedic faith.It is conducted by learned Brahmins.At Kalibangan row,of 7 fire altars were found at a citadel.Sites like Rakhigarhi,Banwali also have presence of fire worship. AMT proponents are completely ignorant about these cultural similarities between Harappan civilization and Indo-Aryan culture. BTW I'm planning to build a new post on Synchronicity among Indo-European Civilizations Is it a good idea? What do you think?